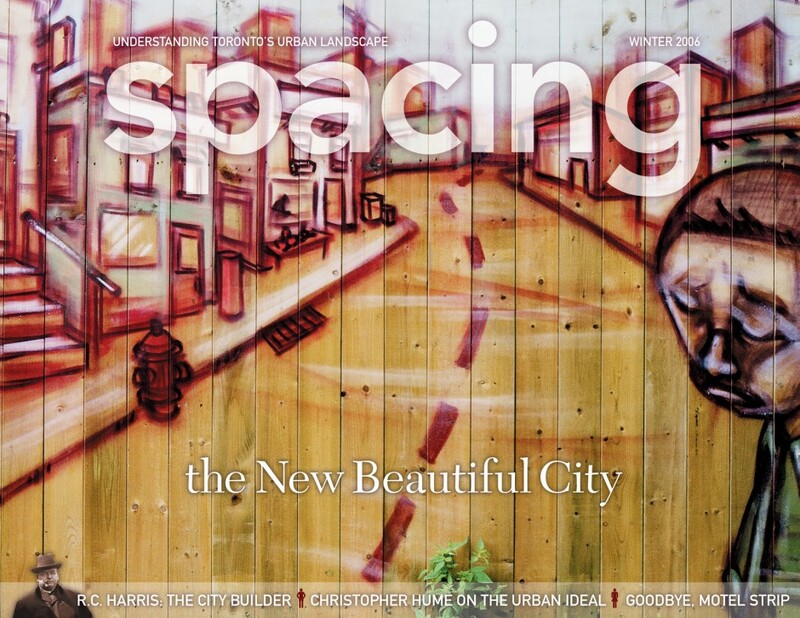 The cover section of the Winter 2006 issue of Spacing has our contributors exploring the wide variety of public art in Toronto, examining how thousands of people use the public realm as a canvas. This issue marks our venture into the world of full colour — this new feature showcases the vibrant life of this city as captured by our talented staff of photographers and illustrators. Bert Archer ponders why a city needs public art, Ryan Bigge examines the skeletal (yet sculptural ) remains of the east Gardiner Expressway, Eye Weekly’s Ed Keenan analyzes the City of Toronto’s contradicting policies towards graffiti, illustrator Marc Ngui creates new wayfinding signs for Toronto’s streets, and Spacing’s Dale Duncan gives you the answer to the most confounding public art question: how did that get there? 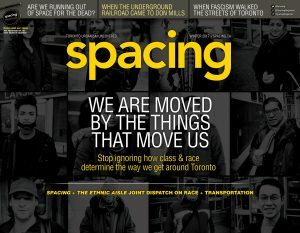 This issue also includes a lengthy feature by John Lorinc (Globe and Mail, Toronto Life) on R.C. Harris, Toronto’s most influential city builder. In his research for this piece, Lorinc discovered a few unknown facts that are hugely important to understanding the motivations of the dreamer behind the Bloor Viaduct, the Scarborough water filtration plant, and the numerous bridges that span our ravines and valleys. The Toronto Star’s Christopher Hume also contributes to this issue. He wonders why Toronto and North American cities fail to grasp the possibilities of the urban ideal. The remedy may come from the most unlikely of sources — the gas pump.